You will find here information on the containers designed for sea transport. We give average values to show the dimensions. 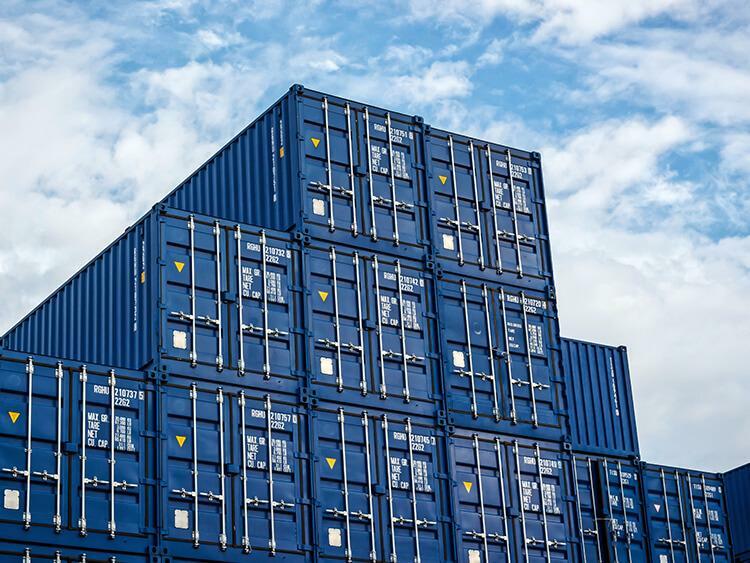 In the case of goods whose sizes are similar to container size you must contact the forwarding agent and set up the exact dimensions of the containers you want to use. The basic dimensions are: 20' and 40' (feet). Container 20' load-carrying capacity amounts to ca. 24 tons (depending on the model). Note: those who think that a 40' container may be loaded with double weight given it is twice bigger than the 20' one, are wrong; its load-carrying capacity will be still no more than 24 tons. When selecting a container, take into consideration its tare weight as well as traffic regulations applicable to the country of land transport. In Poland, the maximum total weight of the entire train (tractor + semi-trailer + loaded container) is 40,500 kg. General purpose containers are transport facilities the most often met. They go with most loads on pallets, in cardboard boxes or in bulk. Raised models (HC) belong to the general group; they are used to transport 3D consignments. Reefer containers are used for transport of goods which require temperature monitoring. Hardtop and open top containers prove the best in the transport of items whose lifting from the top is the most convenient. Tank containers or 'tanks' may be used to transport (liquid) loads.